Changing the font size of your forms couldn’t be more important. 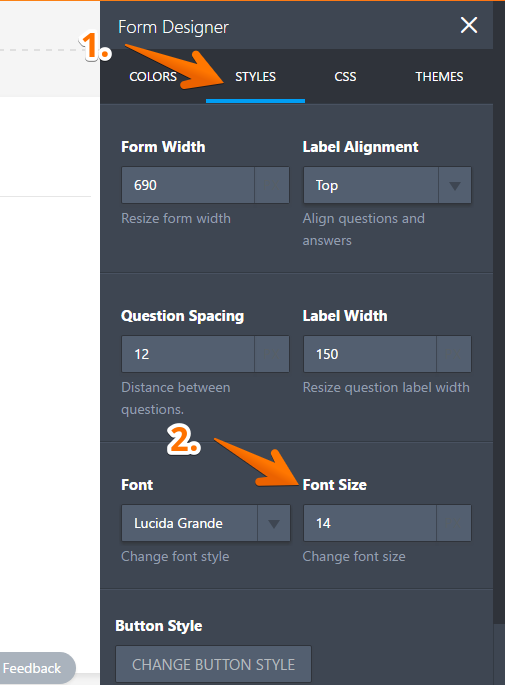 Knowing who your audience is will help you choose the right font size to use on your forms. Let’s say you’re dealing with elderly people. Would you still use a 12-point font size? Your web forms should be readable on every level, so be careful about font sizes. If you don't know what to pick, go with 12 - 14 pixels. Step 1: Opening the Form Designer Tool. That should open the basic window for the Form Designer Tool. From there, you can edit the font size under the "Styles" tab. Step: Opening the Advanced Form Designer Tool. 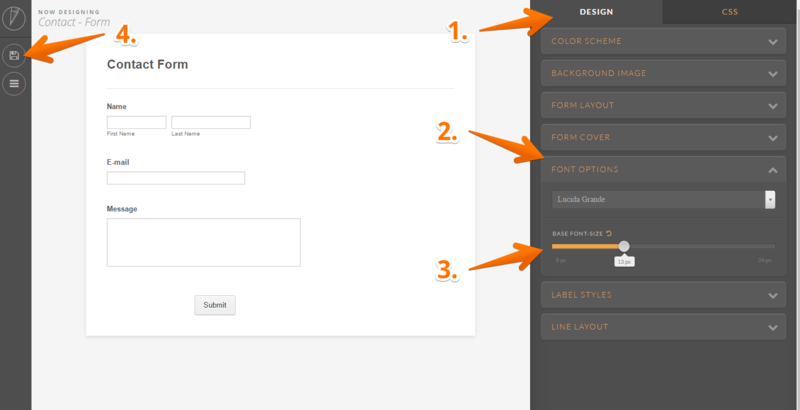 You can also use the advanced form designer tool to change the font size. In the same settings page, scroll down and you should be able to see the "Advanced Designer" button. In the Advanced Designer Tool under the "Design" tab, open the "Font Options" section. From there, you can change the font size of the form. The Advanced Designer Tool allows you to see the changes in real-time, here's a screencast showing the changes on my form when editing the font-size. 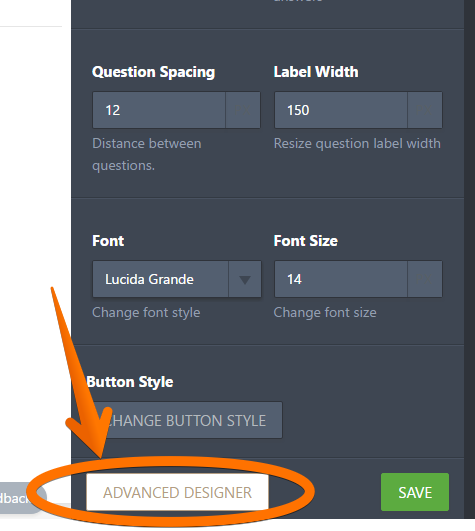 Make sure to hit the save button in the Advanced Designer Tool to apply the changes. That’s about all it takes to change the size of the fonts on your forms. Changing the font size to fit your audience is crucial. Sometimes small changes can lead to big results. If you have any suggestions, comments, or difficulties, please comment below. why don't I have those options? Is it possible to print the form I made in a readable size? can I change the font size of the predefined fields like name and address from quick tools.....I am referring to the small label of name. How can we adjust the label font size in image checkbox?